The Portfolio Committees on Trade and Industry and Economic Development met jointly to be briefed by the Minister and the Department of Trade and Industry on Steel Industry interventions. Minister of Trade and Industry, Rob Davies, said that the Minister of Economic Development and he had been working together closely on where they had each been able to use items from their tool boxes in addressing some very difficult questions. The two Departments had had to take on the question of the steel industry where a number of circumstances which were quite difficult and not of their choosing with risks of all sorts, and steer the South African steel industry in an appropriate way. The two Departments had been trying to take decisions where there had not been ideal-type choices and where they had had to go for second best choices in many cases. SA was a significant iron ore producer where Government had inherited a primary steel manufacturing capability which it had to ensure it retained. That had to be done using the available resources and adding value that the industry added as a feeder to downstream manufacturers in a way that would not be price-disadvantaging the downstream manufacturers. The difficult circumstances the Minister alluded to had required Government to deploy items such as tariff decisions, designations for the infrastructure build programme, as well as the institution of the competition investigation which had resulted in certain penalties and commitments, which were part of the overall toolbox. The global oversupply of steel which was called a glut had been linked to the structural changes happening in the steel capacity of China which was moving away from the growth path based on manufacturing exports to the developed world towards a consumption driven growth path. Since that country had been on a less mineral intensive growth path, this had resulted in its oversupply of steel which meant more steel exports from China, which had had a knock-on effect on steel industries globally. The Minister had been informed that if SA simply imported all of its steel, SA’s ports and rail system did not have the capacity to import all its steel needs. The challenge therefore was for SA to fight to retain primary steel manufacturing and also government had been concerned about the pricing policies by primary steel manufacturers within SA especially import parity pricing, lack of investment, lack of maintenance that had been observed and therefore what government had been discussing was a situation where it had been trying to respond on the one hand to the possibility and probability that there would be significant plant closures and reduction in capacity, and on the other hand trying to respond in a way that SA could achieve some of the advances in terms of the concerns the government had in the past. Minister Davis said that tariff applications were made to the International Trade Administration Commission (ITAC) of South Africa, which in following due process considered the pros and cons of different applications and thereafter made a recommendation to Trade and Industry Minister. In the past, when SA had adopted its developmental trade policy, it had said there was no a priori decision on whether it would raise or lower tariffs. One of the tariffs that government had lowered because of the pricing implications for downstream industries had been primary steel making from 5% to 0%. However, in the current situation of the entry for products coming from China, the tariff had been raised to the maximum bound rate. Note was taken of the 22 August 2016 announcement of the settlement agreement between ArcelorMittal SA (AMSA) and the Competition Commission where ArcelorMittal will pay an administrative penalty of R1.5bn for price fixing. AMSA has also committed to a R4.64bn capital expenditure over five years. Members asked if government’s attempts to assist small and medium sized manufacturers to stay open, did government attend to those manufacturers only when they were falling apart as a result of the unmitigated actions of big players and bullies. It asked if AMSA’s implementation of its commitments after the Competition Commission ruling would be monitored by the steel committee or ITAC. The Committee wanted to be able to monitor AMSA’s pricing and the R4.64bn investment plan; would there be support for the downstream industries; was there a jobs plan in terms of both retention and creation of further jobs? What could Parliament do about the random exploitation of iron ore in SA? Members noted that representatives on the recently established ‘steel committee’ were all steel industry players with officials from DTI and Department of Economic Development (EDD) only being invitees. What scope of influence would those officials have or would the big players continue to have a bigger influence in the processes of the steel committee. - Who was responsible for reviving those small businesses that had closed down because of AMSA’s predatory pricing practices; that question had to be addressed in AMSA’s investment strategy towards supporting small steel manufacturers. Was there any policy space to regulate the steel dumping of Chinese steel products on SA shores? - Whether DTI and ITAC wanted to protect the perpetrators of collusion. Whose interests was the DTI looking after if it was saying there was no guarantee about whether prices would increase or not. If it could also be provided with the guidelines that National Treasury (NT) had developed for export? It also was interested in what the DTI and EDD views were in the potential establishment by the IDC of a $5 billion Steel plant together with Hebei Iron and Steel Group Company Limited (HBIS), considering the 400 million tonnes of steel per year glut in the global market. Would it be sustainable from a jobs perspective or would it likely be another jobs loss maker? - Was it true that SA and Egypt were the only two producers of primary steel as the impression had been that Algeria, Senegal, Nigeria and Ethiopia also had big steel plants? The Committee asked the Deputy Minister of Economic Development to speak to the pending changes to the Competition Act to assist in criminalising predatory behaviour. When would the Amendment Bill happen so that the competition authorities could be empowered. It was unhappy that the penalty would be paid over five years. The Committee would want AMSA to table an implementation plan for its R4.6 billion investment when it appeared before the Committee. The Chairperson reminded members of the joint sitting that there had been a joint meeting on the impact of steel and strategic commodities on the economy before Parliament had risen for the constituency period of 2016. She read an apology from Minister Patel that he had been called to address a conference in Tshwane at short notice, and noted that Deputy Minister Madala Masuku was in attendance from the Ministry of Economic Development. Deputy Minister of Economic Development, Madala Masuku, said that the key aspect where the EDD had played a major role was in clearing of the playing field for competition to occur. Development funding was to ensure that there was job creation, promotion of beneficiation, saving and creation of jobs. The Chairperson asked that Members enable everyone to get their points across and limited questions to three minutes in the first round of questions. 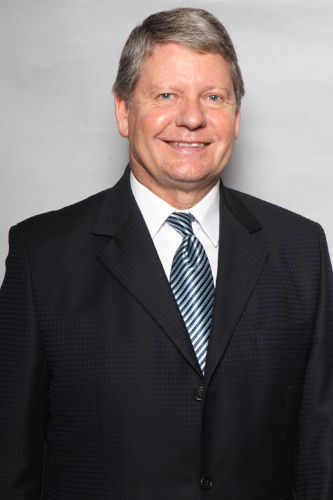 Mr J Esterhuizen (IFP) agreed with Minister Davis that the ailing iron and steel industry had helped SA avoid a technical recession through a strong manufacturing performance; however, he disagreed with Deputy Minister Masuku that DTI was protecting the steel industry as that was not happening. Not enough was being done by government departments such as the DTI. To make matters worse, the drafted laws were not being effectively processed as there were seven out of ten laws that were being sent back to Parliament even though State Law Advisors were supposed to be overseeing and assisting this process. Mr Esterhuizen said that AMSA had been blatantly destroying downstream steel manufacturers and the committee to monitor the steel pricing in the sector had never sat to his knowledge as steel prices had gone up six or seven times to more than 37%. The Competition Commission fine against AMSA was a drop in the ocean compared to what AMSA had done to the steel sector. Scaw Metals had closed down because of AMSA’s unfair trade practices. Over the last nine months, 25 000 people had lost their jobs in the steel sector since AMSA had been granted the 10% tariff increase. The cost of company closure and value add destroyed had been just as devastating. Minister Davis replied that the jobs lost in the steel sector had not amounted to 25 000 neither had the company called Scaw Metals closed down as it had been saved with some of the interventions by the Industrial Development Corporation (IDC) and the steel pricing committee had actually sat twice. Mr N Koornhof (ANC) said it was unfair for Members to make SA an exception to the global downturn in steel manufacturing. The good news, however, was that SA and Egypt were the only primary steel manufacturers on the African continent. He asked the Minister to comment on the fact that China accounted for 50% of steel producer globally and that they had an aggressive approach in the partnerships it had in Africa; and whether that was not a concern for steel production in SA and what the country could do to outdo China steel products on the continent. Certainly government could do something to strengthen the Competition Act, so that businesses would not only be fined and yet be allowed to continue business as usual. AMSA in a news statement from the 23 August 2016 had committed to a R4.6 billion in infrastructure investment. Was he not correct in saying that foundries and steel plants globally were closing down, yet what AMSA had committed to was against that tide? Mr S Mbatha (EFF) said that the situation in the steel industry had long been coming as Iscor had originally been state owned before it was mysteriously sold to AMSA without the sale amount ever having been disclosed. More concerning was that the fine AMSA was to pay would be much less than what it had made already. He had been consistently hearing that small steel manufacturers had been closing in the Jacobs Area of Durban from one company to another in the previous 12 months. He had heard of nothing being done to mitigate those circumstances. In government’s attempts to assist small and medium sized manufacturers to stay open; did the government attend to those manufacturers only as they were falling apart as a result of unmitigated actions of big players and bullies that government was aware of? Mr B Mkongi (ANC) said that discussions in government and Parliament about the crisis faced by steel and other strategic commodities in SA had not started in 2016 as colloquiums from 2014 had been grappling with such matters. There had been resolutions and proposals from that 2014 colloquium about concerns with import parity pricing, the impact of administered prices on industrialisation, value addition and manufacturing in the country. There had also been the question of the export of scrap metals which was the reason foundries in SA were closing down. He asked if AMSA’s implementation of its commitments after the Competition Commission ruling would be monitored by the steel committee or ITAC. He wanted the Committee to be able to monitor AMSA’s pricing and investment plans; would there be support for the downstream industries; was there a jobs plan in terms of both retention and creation of further jobs? What could Parliament do about the random exploitation of iron ore in SA? Ms Z Mantashe (ANC) said that when good work had been done it had to be commended. However, she was concerned as to whom would benefit from the fine imposed on AMSA? She noted that representatives on the steel committee were all steel industry players with officials from DTI and EDD being only invitees. What scope of influence would those officials have or would the big players continue to have a bigger influence in the processes of the steel committee. Minister Davis replied that DTI and EDD had been trying to play the hand that had been dealt to SA. Some years ago, the DA had said that the Industrial Policy Action Plan (IPAP) of the time was too heavy handed and that it preferred a light touch. If government had indeed adopted a light touch to IPAP and had said AMSA had been involved in predatory pricing practices and for that reason government would not seek to try and address the question of the survival of AMSA, then probably the country’s steel industry would have already have gone the way it had to date. The first to close would have been the Vereeniging factory; second, would have been Saldanha Bay and Minister Davis did not think that the Vanderbijl Park mill would have survived either. SA would have been on the road to a steady decimation of the primary steel manufacturing sector in SA. The consequences of that would be that SA would have remained an iron ore producer without value addition. It would have regressed to being a producer and exporter of primary iron ore only. SA would have been placing its downstream steel manufacturers at the mercy of the vagaries of international markets, current situation notwithstanding. He had also alluded to the fact that there was not enough capacity in the ports of SA to import all of the steel products currently manufactured in SA. Globally SA was in the same boat as many other economies and the conversation at the Group 20 discussions had been quite interesting as there had been a particular approach to China from many of the developed countries, saying that China had to just allow a market solution to work by allowing bankruptcy to occur and for it to close its plants. The counter argument from China was that that had not been done by the banks of the developed world when the first phase of the crisis started in 2008. That was where the situation was as people were trying to manage the crisis at an international level. SA was not putting any eggs in the basket of there being a global solution to the crisis. Many countries were actually conceding tariffs without any reciprocity, anti dumping duties and other measures as they were seeing closures of primary steel manufacturers. Minister Davis said that the DTI had never said that AMSA would never increase prices. What it had actually said was that AMSA was not allowed to use the imposition of tariffs as a means for simply raising the price. The DTI had said it would monitor AMSA pricing against the new model of pricing which was being developed. There had been many policy instruments that DTI had deployed to manage the crisis and it had been seeking another big steel investor for the steel industry in SA, to add competition. The DTI had had an arrangement with Hebei Iron and Steel Group (HBIS) which had been pulled back because of the global developments in steel production. To date what government had been attempting was trying to balance the measures that were necessary to ensure that SA still had primary steelmaking capacity with reciprocal commitments by beneficiaries of steel, so that there was minimum damage. Indeed what Mr Strachan had said was true in that government had been trying to find a shared pain solution in terms of government’s balancing. It was concerned about the downstream manufacturers as that was where jobs were and where black owned companies accessed steel production. The R4.6 billion investment commitments had been broken down in the presentation slide on Primary Steel Support & Commitments. The R1.5 billion fine was not the biggest chunk as the investment commitments and other measures were that AMSA had had to agree to that investment and earnings before interest, taxes, depreciation and amortisation (EBITDA) cap. All of that work was not simple and straightforward because government had had to make calls between different combinations of concessions and reciprocal obligations that both allowed AMSA as the biggest steel manufacturer in SA and other ones, as it had been IDC that had ensured that Scaw Metals, were not closed. It had been IDC investments that had at least saved a few jobs at Highveld Steel. It had been measures like the pricing preference and export tax on scrap metals that would ensure that local foundries survived in SA and vested interests had been fighting those measures fiercely. The steel committee was a committee that operated under ITAC, which was an independent body that set and removed tariffs in SA. The steel committee was not representative of AMSA as there was one representative from AMSA and one from all other industry associations in the steel sector and the DTI and EDD were part of the Committee. The job of the officials was to monitor whether obligations were being implemented in a reasonable way: was the emerging pricing regime being implemented and were the investments happening. If the conclusion was that there was significant violation, which Minister Davis did not think was the case, the terms of the tariff increase were that ITAC would have to apply its mind to say it thought it needed to withdraw the tariff. The obligations that government had secured from AMSA could be significant going forward and hopefully the balance government was trying to achieve in saving primary steel manufacturing capacity in SA and at the same time ensuring some steps to change the behaviour of primary steel manufacturers to what government envisaged. Therefore Minister Davis completely refuted the idea that government was acting as a human shield for AMSA and that the State was doing everything that AMSA wanted. Part of the work that had been done by government in assisting downstream companies had been to see if there were tariff tools that government could apply such as assisting with the costs that small manufacturers had complained about such as making an ITAC application. What designations and rebates could be provided? Some of the black industrialists that government was supporting were making components for railway wagons and trucks and there were a few more similar support programmes in place. No one was prepared globally to just stand aside and let the market decide because when there was a glut, objectively the need was to reduce capacity but the Chinese were not going to let half their industries go to the wall in a market, any more than the United States had been prepared at the start of the crisis to let the banks go to the wall. All of that was beyond SA’s control however; government was trying to manage what was in its control. Deputy Minister Masuku said that the all the fines imposed by the Competition Commission were paid into the fiscus but from time to time the Competition Commission looked at the agreement on settlement on a case basis in terms of prevailing conditions in a particular industry. With other fines from the Competition Commission the agreements stipulated assistance in terms of reversing some of the damage done by predatory pricing behaviour by detailing programmes for assistance similarly to what had occurred in the bread cartel collusion. DTI and EDD had raised with the Competition Commission whether they could not discuss the fines and set them aside from the development of the steel industry. On Mr Mkongi’s concern, the report of the Competition Commission did respond to some the issues he had raised, however, all of that was work in progress. As part of the investment settlement with AMSA, the trade cluster, including provincial governments, was trying to build capacity to identify individuals at the local level that had relationships with industries where they were located, who could give input on policy matters so government avoided developing a policy at national level that could not be exploited at local level. Unfortunately whether one spoke about ferrous scrap, copper, aluminium, the indications were that there had been a downward trend in exports. That could be a good thing for those who were exporting and for SA’s balance of trade but it could also be a challenge as well; especially if there was no market outside, could the country not increase the demand locally? Mr Tapiwa Samanga, DTI Chief Director: Mineral Processing/Beneficiation, Oil and Gas and Construction, said that when looking at the steel industry one would note that SA had not recovered from the 2008 initial crisis. Average prices of hot rolled steel coil in 2008 had been above $900 per tonne, and when the second wave of the crisis hit and the prices went down, no steel mill could survive at those prices. In January 2016 prices for the same coil were at $475 per tonne in the US, $426 in Canada and $248 in China. At some point China set the tone for where everyone else needed to go. Even in China no steel mill could survive at those prices, therefore whether there had been a tariff or not, AMSA had been forced to adjust its pricing to what China had been doing. Something that had been overlooked by the general public was that AMSA had reduced prices ten times before January 2016 and the price increases from January to August 2016, resulted from every country trying to recover from prices that were in an anaerobic environment. By July 2016 the hot rolled coil price in the US had recovered $705 per tonne. Therefore the price increases in SA could not be attributed to tariff increases. There were steel reduced prices coming out of China but that was because China had been selling excess capacity and sometimes even disposing of excess inventory. At SA’s size, it was the only country that had done the least to protect primary steel producers globally by having only introduced a 10% tariff. Other countries had literally put up walls around their primary steel producers. What DTI was monitoring was more cheap steel coming to SA’s shores as a result of the protectionist measures other countries had put up. Another issue the Committee needed to be aware of was that if one took for example a wheelbarrow maker in SA. That person could import steel, make a wheelbarrow and sell it in SA and the region. Therefore besides what government did around primary steel production, there was still imported steel for wheelbarrow making, which was a different frontier of competition that needed attention. Depending on export incentives put up in countries sending products to SA, there was not much a tariff on primary steel and hot rolled coil could do in protecting downstream steel producers. ITAC had therefore gazetted a measure to address finished goods that were still coming into SA and the region and competing for market share. Mr Samanga said that the DTI did not want to leave the Committee with the impression that steel prices would not be increasing as they depended on other market dynamics, over and above the pressure China was putting on SA’s primary steel producers. AMSA had lost R8, 6 billion in the 2016 financial year like all the other primary steel producers of the world. The Chairperson said that as Mr Macpherson wanted it put on record that in a previous meeting he had requested that AMSA be invited to this meeting, that was indeed so, but the Committee had not agreed to his individual request. The Committee’s management committee (MANCO) was reviewing the programme and if the Copyright Amendment Bill had not arrived by the 14 September 2016 when the Committee was due to meet on it, then as the time neared, MANCO would factor in issues related to steel manufacturing. Mr Macpherson said the biggest inhibitor to an efficient and competitive steel industry was AMSA itself. That statement was supported by the findings of the Competition Commission and the fine it had instituted against AMSA. From iron ore to the factory floor, AMSA got it whichever way. AMSA had access to cheap iron ore in SA; AMSA benefited from import parity pricing; it had tariff protection and yet none of AMSA’s profit went back into making their business more competitive and more successful. There was something very wrong happening at AMSA which Mr Macpherson believed the Committee had not even begun to consider. His point that government was acting as a human shield for AMSA was proven by Deputy Minister Masuku’s statement that possibly there needed to be a discussion about putting punitive measures aside so that the steel industry could be developed; under no circumstances could such a thing be allowed for a business that had quite frankly ripped the ring from the downstream market for too long without any consequences. The road that SA had embarked upon in the steel industry in the recent past had actually started to decimate the downstream steel industry. Parliament could only get to the bottom of what AMSA was doing when government became willing to hold AMSA to account. The DTI had issued a statement in August 2015 that ITAC regulations approved by the DTI had stipulated that there would be no increases for particular steel products because of the adjusted tariffs and pre-existing commitments to reduce prices on some products honoured, that had not happened. Mr Macpherson was willing to send all the letters about price increased products to the DTI and EDD and yet ITAC sat on its hands and did nothing. When the country was to have a discussion on modernising the steel industry in SA, about having access to steel that could develop SA, which would be affordable for the downstream manufacturers, one needed to ensure that Parliament was leading the charge in setting the agenda for companies like AMSA. If that did not happen then one side of the pipeline would reap all the benefits while the other side experienced all of the pain. He asked how Parliament could get AMSA to play ball when it could not stick to agreements that it had reached with DTI and ITAC. How could government make the steel industry competitive when it took government 12 months to still not have agreed on pricing principles? Mr A Williams (ANC) asked what more assistance government would be giving to downstream steel manufacturers. Mr Mkongi proposed that the Committee request that AMSA, when it availed itself, bring with it its investment plan for the investments agreements amounting to R4.6 billion for downstream manufacturer support. His second concern was the country’s ability to create an indigenous primary steel manufacturer that could compete with AMSA. He was raising the matter because he believed that if Parliament wanted to tamper with the Competition Act it was fundamental that collusion should be criminalised, price fixing had to be criminalised as well because if collusion was being committed by state entities there would have long been a call for heads to roll and for people to be incarcerated. Who was responsible for reviving those small businesses that had closed down because of AMSA’s predatory pricing practices; that question had to be addressed in AMSA’s investment strategy towards supporting small steel manufacturers. Was there any policy space to regulate the steel dumping of Chinese steel products on SA shores? Mr S Tleane (ANC) said while the Committee acknowledged the steel situation in SA, it was equally important to indicate Parliament’s confidence in the leadership in government in dealing with some of the challenges. They were very happy with the Competition Commission and its work. Whilst AMSA had made investment commitments of R4.6 billion was government able to go back to see exactly when the collusion started, so that the damage that had been caused to the industry could be quantified. And if that was possible, fines aside, what could government do to try and redress the damage that had been caused during that collusion. Could companies that had suffered be identified and if so, was there something government could do for those companies so that they could be better off? Ms Mantashe asked if DTI and ITAC wanted to protect the perpetrators of collusion. Whose interests was the DTI looking after if it was saying there was no guarantee about whether prices would increase or not. Could the Committee also be provided with the guidelines that National Treasury had developed for export? Dr M Cardo (DA) was interested in the views of DTI and EDD on the potential establishment by IDC of a $5 billion steel plant together with HBIS, considering the 400 million tonnes of steel per year glut in the global market. Would it be sustainable from a jobs perspective or would it likely be another jobs loss maker? In terms of the outlook for SA, Minister Davis predicted that significant infrastructure expansion and construction activity would take place on the continent and within the Southern African Development Community over the next decade, creating demand for steel products. Did not infrastructure expansion need only the basic types of steel products which everyone made and not the high value special steel products used in sectors like the automotive industry? Was it true that SA and Egypt were the only two producers of primary steel as he had thought Algeria, Senegal, Nigeria and Ethiopia also had big steel plants? 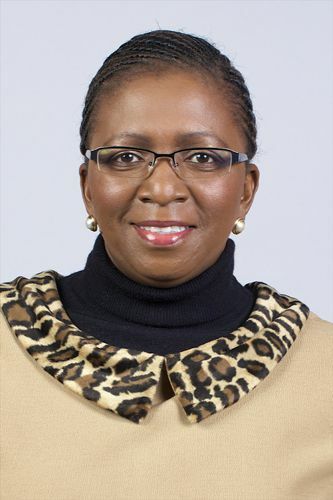 Ms E Coleman (ANC) said that the first positive coming out of the entire steel industry pressures was the outcome of the Competition Commission investigation. When Parliament, DTI and EDD had deliberated on punitive measures for collusion, a challenge to that process was the imposing of some conditions by DTI and EDD which had been vehemently opposed by others. A lot had happened after the “conditioning” of measures for some big companies, irrespective of that, a lot had happened. And what had to be more considered was that the Competition Commission did not have certain powers in law. She asked Deputy Minister Masuku to speak about the pending changes to the Competition Act to assist in criminalising predatory behaviour. She wanted the Deputy Minister to state exactly when the process of amending the legislation would happen so that the competition authorities could be empowered. She was unhappy as well that the AMSA penalty would be paid over five years which was why she supported Mr Mkongi’s request for AMSA tabling an implementation plan for its R4.6 billion investment. The Chairperson said the five year period for the penalty payout was too long and SA could certainly learn something about imposing penalties from Nigeria. During oversight visits, the Committee had visited Coega Industrial Development Zone where the Committee agreed that a ban on scrap metal exports had to be effected. However, there never was a complete ban but there had been a few restrictions that the Minister of Economic Development had developed. Additionally ITAC had advised that the South African Police Service (SAPS) had established a task team to deal with the illegal export of scrap metal which would work with ITAC and it would be important to find out where that had gone as it was over a year since that proposal had been tabled. Minister Davis said that over the years there had been a movement away from administrative fines, to commitments around corrective behaviour; therefore although criminal penalties were not in the arsenal of government yet. From the bread cartel investigation, one would find that administrative fines were not the only punitive measure but that the main content was some remedial action and some commitment to invest in a downstream aspect or to remedy the behaviours. He said that the agreement was between AMSA and the Competition Commission. The main issue was that the R4.6 billion investment was intended to make the steel industry under AMSA more competitive. He reiterated that the game government was playing was much more complex than angels and devils because the picture was much more mixed than had happened in the past. Government had not previously and did not to date, as a result of the Competition Commission finding amongst others, think that the pricing policy that had been followed by AMSA had been the correct one. Government had faced the possibility that not only could primary steel manufacturing have been reduced in SA but it would have been on its way to elimination. What government did not say was: what AMSA wanted and then it simply relented. It had conditioned the entire debate on an “if we do this as government, what would we get in return”. That was why it had taken a year to get to finality in terms of the Competition Commission. The emphasis by government had always been less abusive monopoly, less predatory practices and more competitive behaviour by AMSA. Additionally, what government had discovered was that there was probably a case for looking at the steel traders. Mr Macpherson had to be honest about why he wanted AMSA to be held accountable in a similar manner as the government. Would he have not increased tariffs in the first place or would he have withdrawn the tariffs in the current situation, as doing that would have resulted in the reduction of primary steel manufacturing? DTI had said that there would be no price increases because of the adjusted tariffs. Minister Davis therefore believed that SA was in a situation where there was a structure in place which was monitoring the compliance of AMSA to the obligations of the agreement with the Competition Commission. The structure was the steel committee, the Committee and ITAC. Therefore it was reasonable for Parliament to check from time to time whether AMSA was complying with the agreed to conditions as that was in the public interest. In terms of more competition in steel, that was precisely why Minister Davis had mentioned HBIS where the discussion had been about whether it should be based in Richards Bay or Mpumalanga. However, the discussion had lost steam because of the prevailing global conditions. Infrastructure expansion on the continent could not be reduced to construction steel only because for example; the designation by the United Nations that SA could be a railway centre for the African industrialisation process and infrastructure roll-out. That was a big opportunity as railway opportunities were not only for Transnet and the Passenger Rail Agency of South Africa (PRASA), there was potential for everyone on the continent and for partnerships that SA had to build with other countries in the region. For downstream producers, government had looked at tariff rebates; other applications had been about serious countervailing and anti dumping duties. SA possibly could consider some of those when the applications came forth. The Black Industrialist and Local Content programmes were all tools that could be used to support downstream steel manufacturers. In the current IPAP, DTI had defined which labour intensive sectors it needed to focus on which were agro-processing and agriculture value chain, component manufacturing in automotive and rail, and clothing and textiles. Minister Davis said that the Minister of Economic Development had introduced the Preferential Procurement Policy Framework Act (PPPFA) and he had lost count how many times it had been taken to court as vested interests did not want to let go. Some of the places SA exported to were not interested in exports of scrap metal. DTI and EDD could see that it was better to use the scrap metal in SA to support the production of products that could add value. However, SA was exporting scrap metal to one country that did not allow its own scrap metal to be exported. The Bill on illegal exports had developed quite quickly and was actually in the realm of the Justice, Police and Security cluster. It generally dealt with much more severe penalties that one had to suffer if one was involved in the theft of infrastructure related goods. 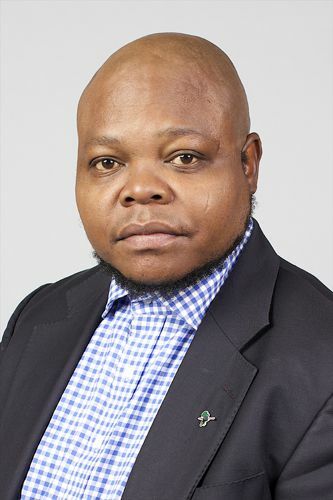 Deputy Minister Masuku said that from the 1 May 2016, Section 73A of the 2009 Competition Amendment Act came into effect which states that a director or manager of a firm commits an offence if he/she caused the firm to fix prices, allocate markets or collusively tender, or knowingly acquiesced in the firm engaging in these prohibited restrictive horizontal practices. In this context, "knowingly acquiesced" means having acquiesced while having actual knowledge of the firm's prohibited conduct. A director or manager found in contravention of section 73A is liable to imprisonment for up to 10 years or a fine of R500 000 or both. Around R37 billion over six years had been disbursed by the IDC in support of small industries in automotive, machinery equipment and basic metals. Part of the black industrialist support programme arose from the realisation that although there was financial support for black industrialists, there were no new entrants coming in. Thereafter EDD had started designating its money into chunks that support particular sectors which was part of the transformation process EDD was engaged in. EDD had had to invest in steel manufacturing as the sector had the potential to industrialise more as there would be more demand for steel even for infrastructure in SA. Deputy Minister Masuku said that looking at the investment going to Highveld Steel, one would see that it was towards specific areas where government thought SA had a competitive advantage and it was on an already functioning infrastructure that had been invested in over the years. There had also been a restructuring of the steel works so that it focused on other investments over and above what had already been focused on. He said that the aspect of setting aside fines was that fines generally went to the fiscus and if broader benefits were considered, everyone benefited as citizens. What EDD had been saying was that there had been discussions where people had been saying why were the fines by the Competition Commission not set aside to develop the steel industry where the damage had been done? Mr Garth Strachan, DTI Deputy Director-General: Industrial Development, said that Dr Cardo had been right about the exports of long steel products and other basic types rather than high value special steel products in Africa. DTI’s market demand analysis in infrastructure, ports and mining had suggested that there was a very significant opportunity on the continent but what there was not was an opportunity for flat high end value products. DTI was doing some medium to long term work where the long term work asked what it would take in circumstances where SA had small domestic and regional markets for high end flat products; some of which were technology intensive and required economies of scale. It would be very difficult to say to a producer they had to produce technology intensive high end value flat steel product when there was no market for this. However, worse than exporting long steel products to export destinations including Africa, would be no exports at all in the steel sector since volumes in steel are very important, given the energy intensity, in particular. Therefore, Mr Strachan thought that the ‘perfect’ was not supposed to be made the enemy of the ‘good’ as exports of long steel products were an important aspect of the value chain. The Chairperson asked whether it had only been section 73A of the 2009 Competition Amendment Act that had come into in May 2016, and whether EDD would be considering further amendments to the law as alluded to by Ms Coleman. Deputy Minister Masuku said that EDD had discussed the provision so that by the 1 May 2016 there was that amendment to the Act. Ms Coleman replied that other amendments had been done even before 2009, but section 73A had only been effected in May 2016. However, there were outstanding amendments which the Portfolio Committee on Economic Development had been promised by the third term of 2016 would be brought Parliament; therefore she asked when those amendments would be coming. Minister Davis concurred that the Competition Amendment Bill had indeed been promulgated by the DTI and amendments had been done before 2009 where it had introduced the possibility of criminalisation at that time. Interestingly, one could go back and research who amongst the political parties which were currently calling for sanctions, what they had said at that time when DTI wanted criminalisation. He remembered a lot of opposition to section 73A. Even with the adoption of that provision being effected in May, the issues of that provision cropped, for example, in the construction cartel. Was the outcome that everyone wanted to see all the chief executive officers (CEOs) behind bars, or was it that everyone wanted to see the industry changing? The Chairperson said Parliament would want that knowledge as she had seen a fair amount of somersaulting since she had chaired the Committee on Trade and Industry. But it was also important to understand why those that had opposed section 73A originally, now having changed tune. Her hope was that there would be more joint sittin’s so that there was synergy on how the Committees oversee not only the legislation on competition and its implementation but other aspects of strategic industries since there was no intention to kill industries but an intention to monitor them more closely. The Committee on Trade and Industry would certainly welcome an invite to attend the Economic Development Committee. She said that all areas the Committee wanted to cover in the meeting but could not, would be put to the DTI and EDD in writing by the Committee.